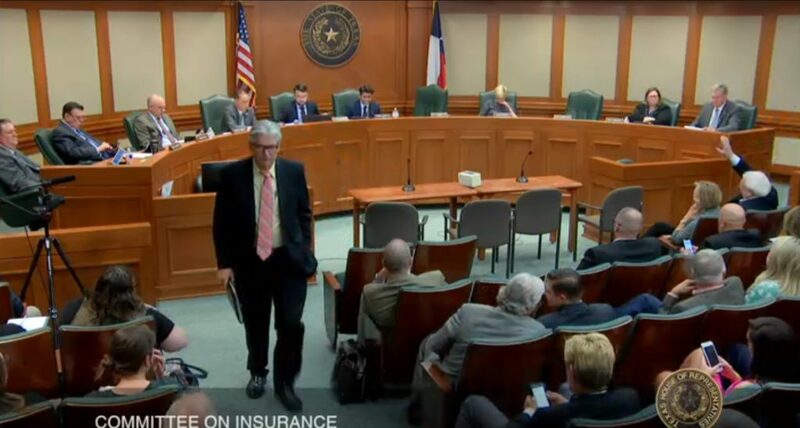 An APCIA representative on Tuesday testified against a Texas bill compelling insurers to pay for the cost of repairs done to automaker specifications, arguing that the measure lacked confirmation body shops used them and suggesting some repairers might lie about it. 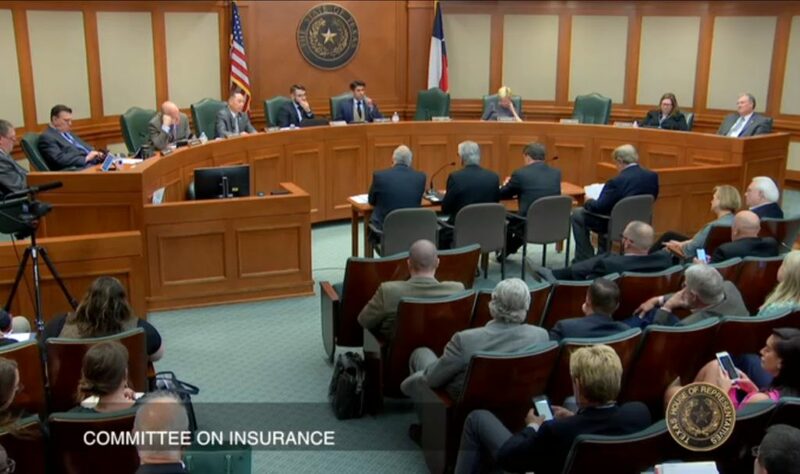 American Property Casualty Insurance Association state government relations Vice President Joe Woods’ questionable testimony opposing House Bill 1348 also described adjusters as the line of defense for repair quality. It also defines “like kind and quality” for aftermarket parts and addresses steering and questionable prevailing rate surveys. Woods told the Texas House Insurance Committee on Tuesday that no regulation confirms collision repairers will use the OEM repair procedures they’re billing for. “They’re gonna charge a $250 blueprint fee, which (they) do now,” Woods said, defining this as the time spent researching repair procedures. Woods is essentially arguing that because 1-2 percent of shops commit fraud, insurers shouldn’t be required to reimburse consumers who patronize the honest 98-99 percent of shops billing for OEM repair procedures they execute. Let’s take it a step further for the sake of argument. The Insurance Information Institute reports a mix of vendors and consumers contribute to what is an approximate 10 percent of loss costs being fraudulent across all insurance lines. Pretend that all auto insurance policyholders are completely honest and the entire 10 percent of loss fraud is committed by body shops. Woods’ argument still falls apart. Ninety percent of collision repairers and 100 percent of consumers still deserve to be covered frictionlessly for following the repair procedures developed by the manufacturer of the damaged car. Woods’ argument also backfires with a reference to the Seebachan v. John Eagle Collision center case, in which a Texas jury found a body shop responsible for much of the severity of a Honda Fit crash because the facility adhesive-bonded the vehicle’s roof. Jurors awarded $31.5 million; the plaintiffs and shop later settled for an unspecified amount. John Eagle Collision Center body shop director Boyce Willis in a deposition had agreed the facility bonded the roof with 3M 8115 adhesive despite little concrete evidence or engineering knowledge to support the decision — particularly as 3M and Honda instructions state otherwise. Honda OEM repair procedures demand a shop tack-weld the front and rear corner edges of the new roof and then perform a combination of two- and three-plate spot welds and MIG plug welds. More than 100 welds are required by the manufacturer, plaintiff Marcia Seebachan told the committee during testimony supporting the bill. “It is unconscionable that companies can undermine this process by approving insufficient repairs,” Seebachan told the committee Tuesday. She said two of her injuries should have killed her, and another could have. The John Eagle case clearly shows shops who fail to follow OEM procedures in Texas can face consequences. Woods also forgets other checks on shops deviating from repair procedures and the appalling ones who go a step further and bill for OEM procedures they never did. First and foremost, the III reports that insurance fraud is indeed a criminal offense in Texas. Body shops in the state also can be sued by a consumer for breach of express or implied warranty under the Texas Deceptive Trade Practices Act. The Texas Supreme Court in Melody Home Manufacturing Company v. Barnes nailed down a vendor’s responsibility. “We hold that an implied warranty to repair or modify existing tangible goods or property in a good and workmanlike manner is available to consumers suing under the DTPA,” the court wrote. We define good and workmanlike as that quality of work performed by one who has the knowledge, training, or experience necessary for the successful practice of a trade or occupation and performed in a manner generally considered proficient by those capable of judging such work. We do not require repairmen to guarantee the results of their work; we only require those who repair or modify existing tangible goods or property to perform those services in a good and workmanlike manner. In this case, the breach of the implied warranty was plainly within the common knowledge of laymen and did not require expert testimony. The jurors had sufficient knowledge to find that the failure to connect a washing machine drain would not be considered good and workmanlike by those capable of judging repair work. All three national collision trade groups and the national insurer and repair training organization I-CAR have said for years OEM repair procedures are the standard of care. Automakers, who develop repair instructions they’ve proven will fix the vehicles correctly, also hold shops should follow their procedures. Finally, some of the other 98-99 percent of shops Woods deemed honest and adhering to OEM procedures would probably be happy to post-repair-inspect their rivals’ work for a suspicious insurer or customer. Woods’ testimony on repair procedures continued with another feat of logical gymnastics. He essentially made the case that insurers shouldn’t be compelled to pay for OEM repair procedures because the carriers are ensuring shops follow them. Which is funny, because Nationwide just argued to the Pennsylvania Supreme Court in fall 2018 that it had no duty at all to verify quality (at least in Pennsylvania). Earlier in its motion against the Supreme Court hearing the appeal, the carrier pointed out that it wasn’t necessarily checking for quality at all on the Jeep at the heart of the case. Those repairs were overseen by a Nationwide direct repair program shop. And State Farm certainly doesn’t seem to have caught John Eagle Collision’ infamous incorrect hail repair that Woods cited moments before. 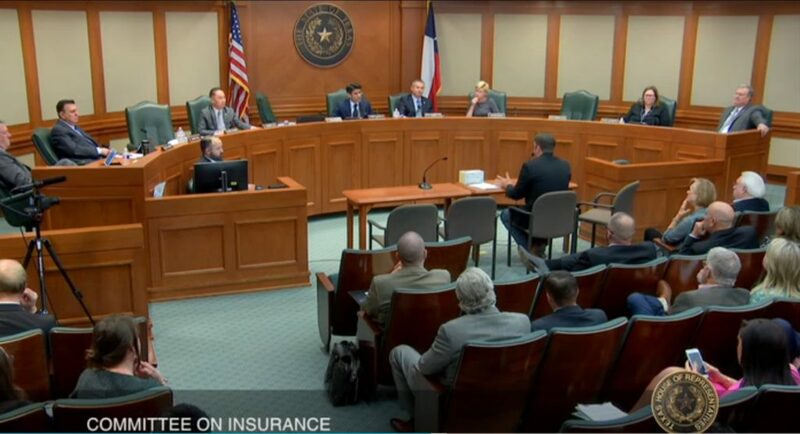 Auto Body Association of Texas board member Chad Kiffe (Berli’s Body & Fine Finishes) acknowledged during the hearing that body shops have a responsibility to do the job right — it’s not just an insurer problem. He noted that many shops still didn’t use OEM repair procedures.